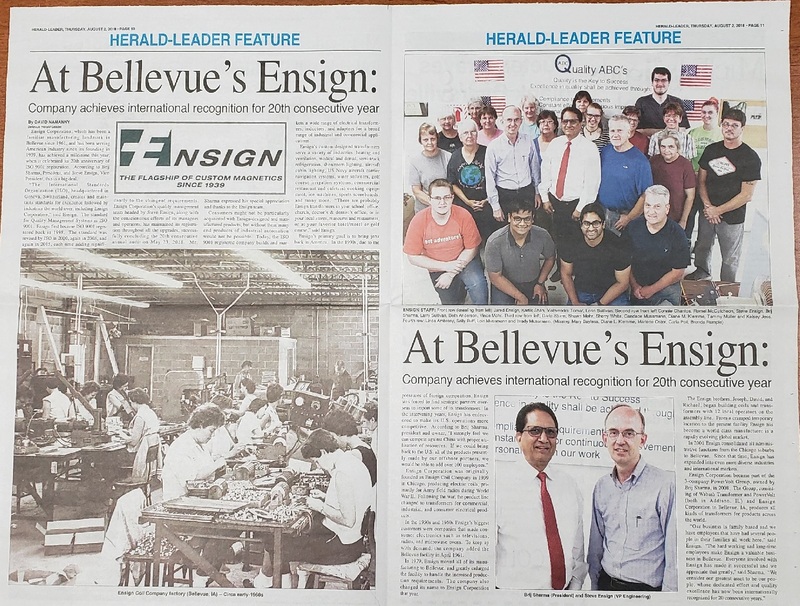 Ensign Corporation Features in Iowa Herald for Achieving International Quality Recognition for Power Transformers for 20 Consecutive Years. Announcing New Ensign website with wide array of Power Transformers and cross reference tool for similar/direct replacement to your existing part numbers. 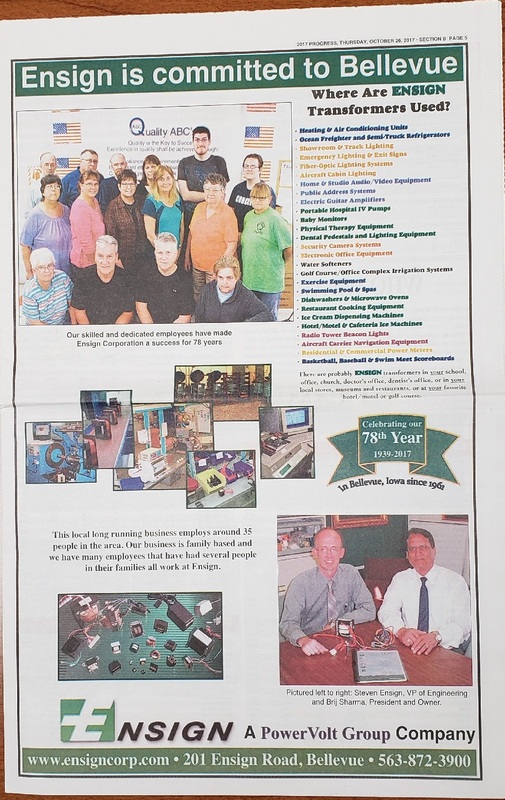 Announcing Partnership with Beyond Components as Ensign and Powervolt are featured suppliers with Beyond Components Digital Catalog. Notification Announcing Ensign Standard Part Number Change. Ensign Corporation Announces Three Phase Open Frame Unregulated DC Power Supplies. Ensign Corporation Announces Toroid Winding Capabilities up to 150KVA. PowerVolt Group Announces Acquisition of Indiana Transformer.